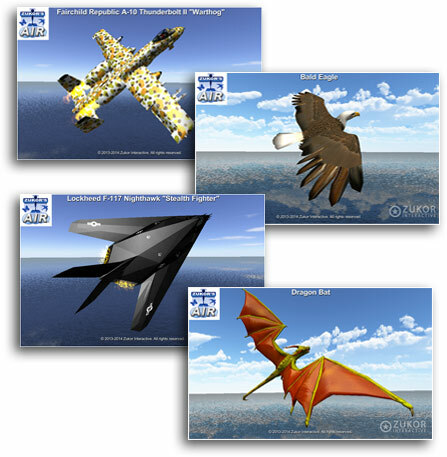 Zukor's Air is flying themed feedback game featuring high-quality aircraft, animals and fantasy creatures. It is designed to appeal to a broad range of people, including all ages of men, women, boys, girls and children. 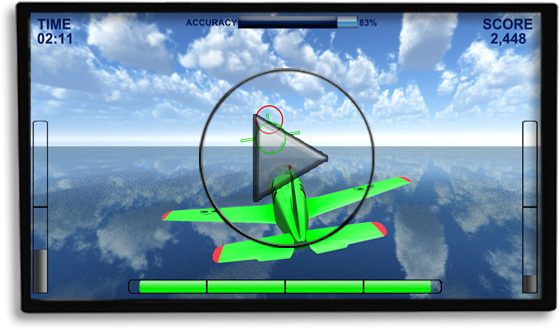 Zukor's Air has a simple, central focus gameplay in which you fly through rings or at targets for points. 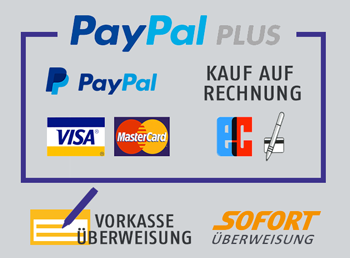 The patient receives continuous “training points” when meeting the event criteria the clinician establishes in the feedback system software and bonus points related to the rings or targets. 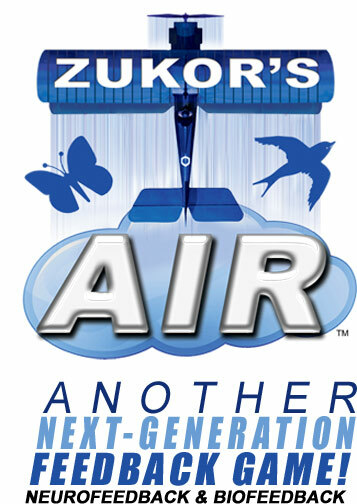 Zukor's Air can be easily modified in many ways to fit the clinicians training protocol or the patient. The flight environment can be minimal with the flight taking place over beautiful, lightly moving water surrounded by lush clouds. Alternatively, the flight can be over a diverse set of islands or icebergs, with or without ships and with or without other aircraft. Zukor's Air flight pattern does not follow a pre-established path and is unique every time. It works with all modalities of biofeedback and neurofeedback using between 1 to 16 events. The events can either drive the primary gameplay action of flight accuracy or secondary visual effects such as bubbles, energy sparks, smoke, flames, etc. Zukor's Air will meet all your neurofeedback and biofeedback training needs. And, equally important, all your patients will love it! Zukor's Air - a new genereration of NeurofeedbackGames ! Windows 7 or Windows 8 on a regular PC or on a Mac (Bootcamp). 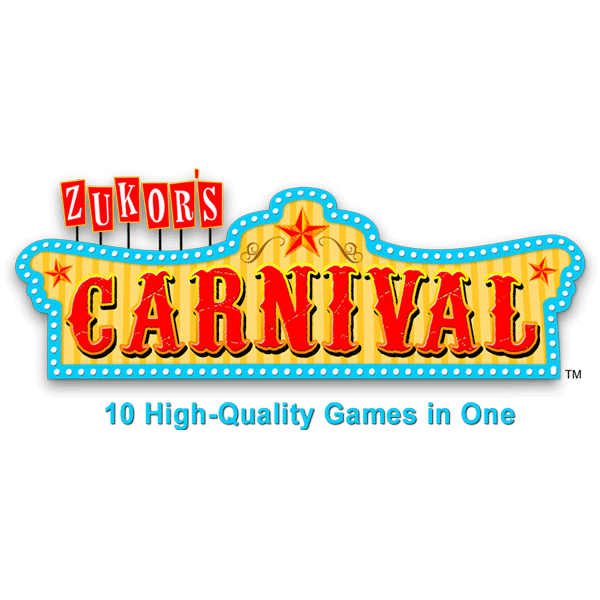 IMPORTANT: Please make sure you have installed ALL Windows 7 or Windows 8 updates PRIOR TO INSTALLING and running Zukor's Air. Failure to do this may lead to improper operation of the game.